If there’s anything people in south Louisiana know, it’s good food, good drinks, and good company, and there’s no better place to combine the three than at a favorite neighborhood haunt. Oft overshadowed by the culinary mecca of New Orleans, the Baton Rouge food scene is quickly establishing itself as a hotspot for new chefs and creative cuisine. Each year a flood of new ventures join established favorites to diversify the city’s offerings. Whether you have a taste for contemporary Creole cuisine, sweet treats, or craft brews, the Red Stick has something for you. Here’s a sampling of the best restaurants Baton Rouge has to offer. If you’ve been sleeping on Eliza Restaurant, it’s high time you rush over to the elegant and cozy contemporary Creole establishment. The restaurant’s produce and proteins are brought in fresh daily and the superior taste is evident. Start with the corn fried oysters, follow with the mouth-watering shrimp and grits or daily fish special, and top things off with a masterfully crafted cocktail. If you have room, the chocolate pecan pie will send you to heaven. Not to be outdone by the food, the restaurant’s bright and airy interior creates a welcoming atmosphere perfect for a long lunch. 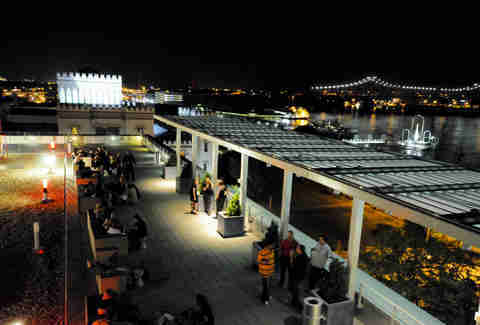 Tsunami is one of the city’s most heavily Instagrammed spots, and for good reason: The sixth floor hotspot’s western wall is made entirely of windows overlooking the Mississippi River. Catch the view at sunset during Tuesday happy hour and bask in the natural light while sipping discounted cocktails and reduced-price sushi. Try the Ragin’ Cajun, made with alligator, for a south Louisiana kick, or select a more traditional option from among the locale’s selection of more than 40 rolls. Whether you’re seated in the dining room or lounging on the outdoor patio, you’ll be treated to stunning views of downtown Baton Rouge. It’s a perfect spot for date night or post-work cocktails with friends. Located in the former Louisiana National Bank, this downtown fine dining location is the perfect blend of historical charm and contemporary cuisine. The Gregory prioritizes both style and substance, with artful plating, quality local ingredients, and a lush dining area that makes any occasion special. Try the pork and oysters appetizer for a mini take on surf and turf, then shift to the cast iron–seared duck or garden ravioli for the main course. While elegant, the restaurant is also perfect for a work lunch, with a wide selection of salads, flatbreads, and other handhelds to fit a wide range of tastes. One-year-old Elsie’s Plate and Pie is quickly capturing the Red Stick’s heart with its charming family-influenced setup. The sparse, no-frills interior leaves the focus on the food: rich, velvety textures, strong south Louisiana flavors, and superior homemade quality. Elsie’s pies are soul food. 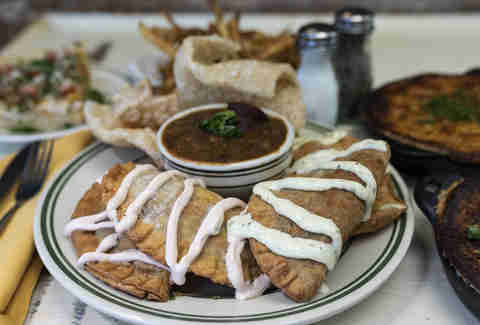 Try the flaky crawfish hand pie, and don’t skimp on the pimento-topped grits or home-fried pork skins. Before you leave, choose from among the restaurant’s decadent sweet pies. One bite into the chocolate creme pie and you’ll be transported. 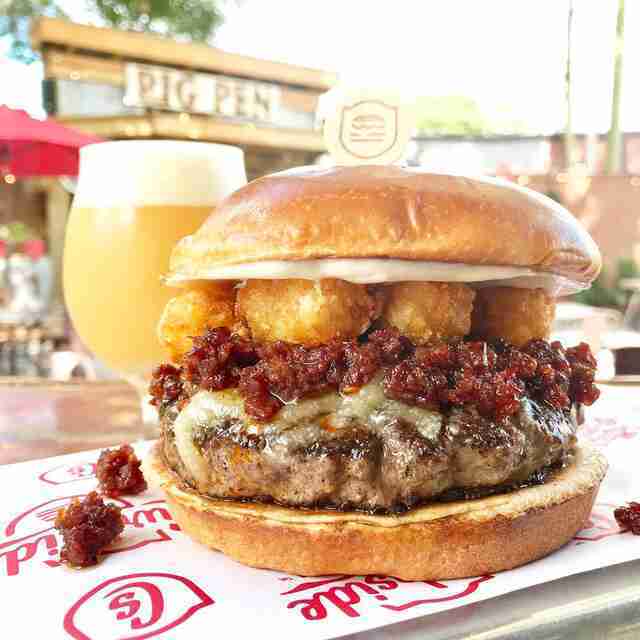 This food truck turned full-service restaurant is all about comfort food with a kick, taking your favorite burger and tater tots combo and elevating it. Try the Tiger Tailgate with whipped cream cheese and fried jalapeños, or the praline bacon-loaded K.G.B. Then top your crispy and smoky tots with cheese and green chili relish, or try a rotating assortment of tot-topping specials. The restaurant’s casual, fun ambience makes it the perfect place to post up with friends on a Friday night. While you do, grab a boozy milkshake and squeeze in a few rounds of bocce ball in the courtyard. This two-and-a-half-year-old establishment is popular among the Sunday brunchers and lunch set, boasting solid drinks and a cool-kid vibe. The brunch menu is concentrated, but what they offer they do well. The honey chicken cheddar biscuit is a perfect sweet and savory combo, while the Breakfast Burger is great for those putting the “unch” in brunch. As for libations, the frozen Overpass Merchant Mule is a popular favorite for those seeking something refreshing. Make sure to go while you can; the restaurant is currently in the path of the state’s proposed I-10 expansion between the Mississippi River Bridge and the I-10/I-12 split, which could force the popular restaurant to move. 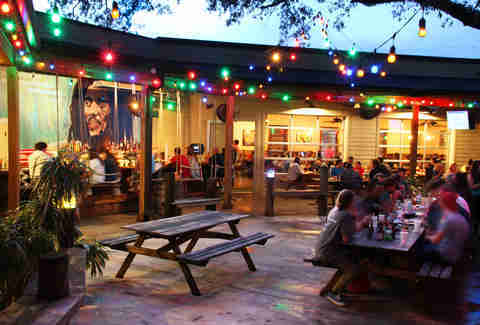 Situated just off the north end of LSU’s campus, Louie’s Cafe is a favorite watering hole for the late-night crowd. Shuffle in after a night out and replenish yourself with a loaded waffle, side of juicy, succulent ham, and seasoned hash browns. 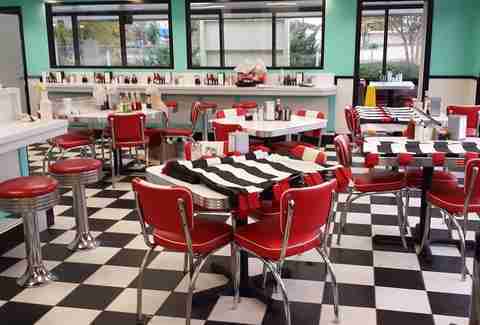 Louie’s is the epitome of a classic diner: black-and-white checkered floors, torn red leather stools at the counter, and the roughness of a place well-loved. Pop in and place your order. Your stomach will thank you. This dog-friendly pub is frequently busy, and for good reason -- with over 80 beers on tap and over 200 bottled options, The Bulldog has something for all the beer lovers in your life. Sidle up to the food counter in the corner and try The Bulldog’s beloved bacon- and cheese-smothered waffle fries or their signature Tex-Mex egg rolls. Once you grab your food, take a seat on a couch or head out to the bar’s signature beer tap fountain in the courtyard. Stop by for Wednesday pint night to stock your kitchen with quirky take-home pint glasses while you mingle with locals and their pups. A popular local Greek and Lebanese chain, Albasha has been serving up the best Mediterranean food in the greater Baton Rouge area for years. Each location has friendly staff, heaping portions, and delicious flavors. Try the fall-off-the-bone lamb shank, consistently delicious gyro platter, or the eggplant moussaka -- each with a side Greek salad and pita. As you linger over your meal, don’t forget an order of sweet and nutty baklava. The flavorful dishes are perfect for a casual, quality meal with friends. Meat lovers, rejoice! Tucked into the Perkins Overpass area, City Pork is an unpretentious deli cafe capable of satisfying any carnivore. Each cut is slow-roasted, braised, or smoked with care, and you can taste the love in the meat. There’s the mouth-watering Big Pig sandwich stuffed with smoked pork shoulder and Carolina BBQ sauce, the classic Cubano, and a stacked charcuterie assortment. The sides are equally up to snuff, with rich, creamy mac and cheese, and homemade kettle chips and pickles. 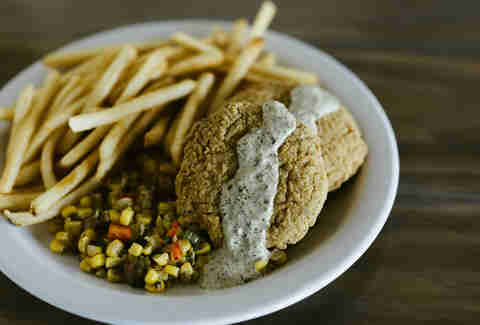 The popular restaurant group also has the full-service City Pork Brasserie and Bar and recently opened a campus cafe in the LSU Design Building. Two words: Taco. Tuesday. If you can handle a packed house, The Rum House gives you bang for your buck with $5 house margaritas and $3 tacos. 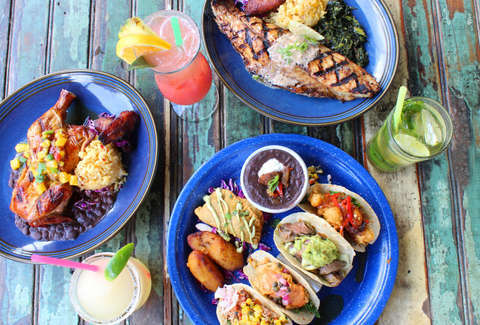 The Caribbean-inspired taqueria offers a wide range of gourmet taco options. 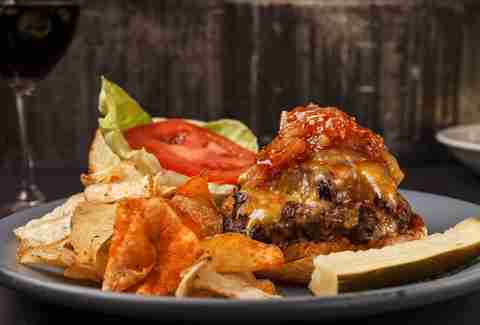 Meat lovers will enjoy the juicy duck duck goose and classic Carolina BBQ, while those keen on seafood can munch on the chipotle shrimp or fried oyster tacos. If you’re looking for a good cocktail, grab a Painkiller and sway on one of the courtyard’s rope swings while enjoying the balmy night air. Sign up here for our New Orleans email and be the first to get all the food/drink/fun in the Big Easy. FYI: We’ve also got you covered with comprehensive guides to NYC, LA, Chicago, SF, Miami, DC, Austin, Boston, Denver, Dallas, Atlanta, Phoenix, and San Diego -- just in case you’re ever out of town. Katie Gagliano is a freelance writer from Louisiana. She likes to eat dessert first and steadfastly argues the difference between a snowball and sno cone. Follow her at @katie_gagliano.